Massey University’s Master of Aviation will give you the knowledge and skills you need to gain a more in-depth understanding of aviation and advance your career. We work to help you succeed. Massey University offers smaller classes and more personalised learning than many other tertiary institutions, giving you greater access to lecturers and the help you need to succeed and thrive during your master’s study. Since 1998 my career has progressed rapidly through the ranks of Mongolia’s national airline – Mongolian International Airlines (MIAT). 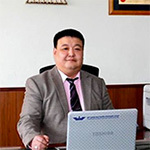 From a position in the area of maintenance, I have been promoted through a variety of increasingly senior roles within the Civil Aviation Authority of Mongolia (CAAM) and today I am the Director General of the Civil Aviation Authority of Mongolia. My study at Massey began in 2012, when I completed the Postgraduate Diploma in Aviation with Distinction. In 2013 I gained the Master of Aviation with Merit. In 2012 I was promoted to General Manager of the Aviation Safety and Regulations Department of CAAM, a role I held until early 2013 until I was appointed the Director of the Department of Aviation Safety, Oversight and Regulations. Attaining a Master of Aviation through Massey University was instrumental in gaining this new and prestigious position. Today in my role as Director General of the Civil Aviation Authority of Mongolia, I am in charge of one of only 28 implementing agencies of the Government of Mongolia. I would like to thank my academic supervisor in the School of Aviation, Dr Andrew Gilbey and also the New Zealand Government under whose NZ Development Aid Scholarship scheme I was able to complete my studies. Dr Gilbey’s primary areas of interest are applied aviation psychology (e.g. pilot decision-making), general aviation psychology, underreporting of safety issues and mild-hypoxia. 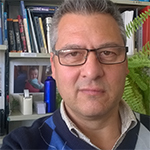 Dr Gilbey is widely published in national and international journals such as the International Journal of Aviation Psychology and the Journal of Air Transport Management. His BSc(Hons) and PhD (Plymouth and Warwick, respectively) are both in psychology. He spent six years as a soldier, much of that time with the 3rd Commando Brigade Air Squadron. He was the recipient of the Massey Business School Supervisor's Award in 2014.